Human memory is an incredible thing; we can recall tiny details from years ago, store and remember thousands of words, and recognize the faces of countless people. Memory is not, however, a perfect process. Sometimes we forget, and sometimes we fail to encode memories altogether. But what about the opposite of that — we think we remember something, but we actually don’t. What about when we remember something that diverges from what actually happened? These imperfections in the memory process are called memory biases, and they occur in many different forms, with different levels of severity. Check out a few ways our memory messes up, some of which you may have never heard of. Most of us have heard of the false memory phenomenon — when something a person believes they remember didn’t actually occur. Our brains are capable of doing the opposite as well, though. Referred to as cryptomnesia, our brains can misattribute a real memory for something imagined. This particular memory glitch is problematic in relation to plagiarism, since our brains might actually believe we came up with an idea when the reality is we picked it up elsewhere. Instead of remembering where we got the idea, our brain presents it as an original thought. Choice-supportive bias is the tendency to retroactively attribute more positive features to our choices. Simply put, it’s remembering our own choices as better than they actually were. For example, when recalling your choice to vacation in Hawaii rather than Florida, you would likely notice and amplify the advantages of Hawaii while downplaying the advantages of Florida. At the same time, you’re also neglecting to acknowledge any negatives of vacationing in Hawaii. When it comes to measuring how much regret or satisfaction a person has over a decision, remembering the conditions and reasoning behind a decision can be as important as the decision itself. 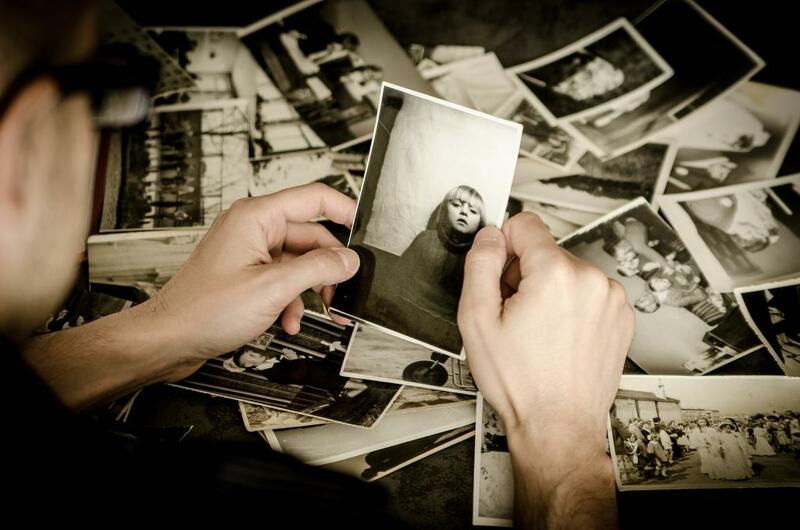 Everybody’s heard of nostalgia, but there’s a psychological phenomenon that causes us to remember past events more positively than we would have rated them immediately after the event occurred. Rosy retrospection (yes, to “see through rose-colored glasses”) refers to the finding that experimental subjects tend to exaggerate the positives from past events and minimize the negatives. Researchers have suggested this occurs because minor annoyances or grievances fade in our memory over time, leaving behind the positives from events that may have only been moderately positive at the time. In a uniquely 21st century problem, the Google effect refers to a tendency to forget information that can easily be found online. Based on four different experiments, researchers suggested study participants have lower rates of recall for information and enhanced recall about where to access it. The Internet is a “primary form of external or transactive memory, where information is stored collectively outside ourselves,” according to the study. A great example of this is phone numbers. In the past, when we actually had to dial the numbers of those we wanted to reach, we were much more likely to have the number memorized. Now, safe with the knowledge that calling a person is only a finger swipe away, we rarely commit these numbers to memory anymore. A memory bias that contributes heavily to stereotype formation and durability, the illusory correlation is the phenomenon of perceiving a relationship between two variables (people, events, or behaviors) when in reality, no such relationship exists. People tend to overestimate relationships between two groups when they encounter unusual or distinctive information, resulting in retrospective correlation between the behavior and the group. This phenomenon does not only occur in relation to prejudice or stereotypes among humans, but can be applied to other situations as well. For example, if a person has a negative encounter with a certain breed of dog, they may form a correlation between that breed and danger, even when such an association does not actually exist. It would make the most sense for our most recent memories to be recalled the most easily, but this is not always the case. Reminiscence bump refers to the tendency of older adults to have a better recollection of events that occurred during adolescence and early adulthood. Researchers have consistently observed the bump, and suggest it occurs because autobiographical memory is not necessarily consistent through time. Memory storage actually increases and changes during times of identity changes — many of which occur during adolescence and young adulthood. Worlds Oldest Woman 116, Eats Bacon Everyday ! !